BBC One - The Andrew Neil Interviews, Election 2017, Jeremy Corbyn, Does Corbyn back Labour Trident stance? Does Corbyn back Labour Trident stance? Labour leader Jeremy Corbyn has refused to give his support to the renewal of the Trident nuclear deterrent, despite the policy being in the party's manifesto. 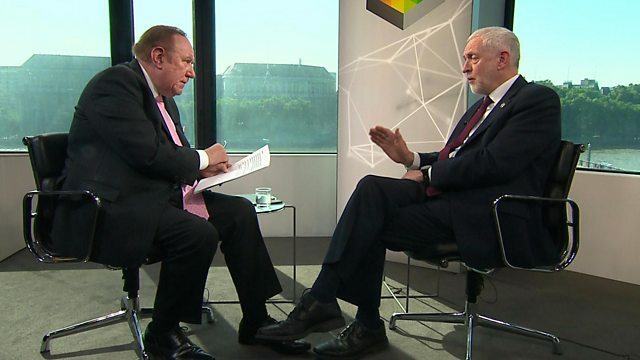 In a BBC One interview with Andrew Neil, Mr Corbyn was repeatedly asked whether he was personally in favour of renewing Trident.